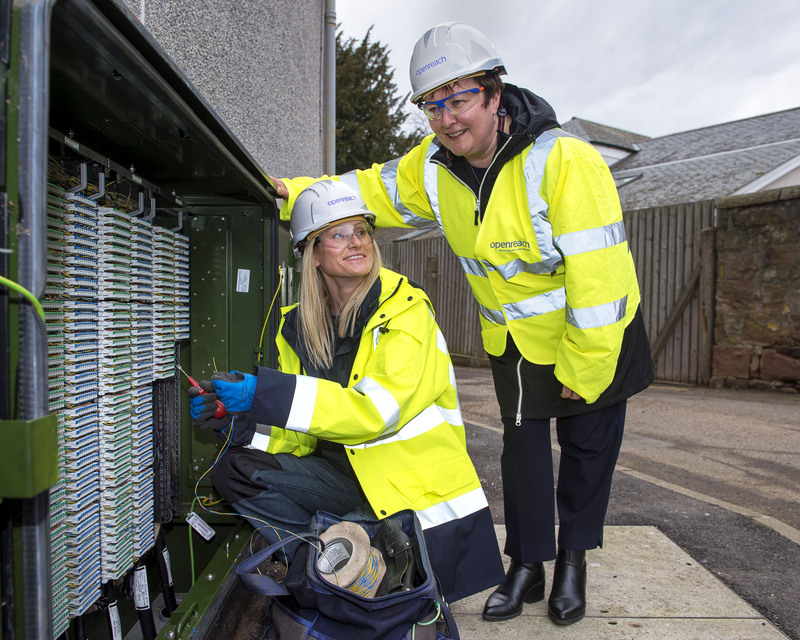 I was delighted to be out in the field with Openreach engineers on Friday to see the progress being made on high-speed broadband in Highlands and Islands. 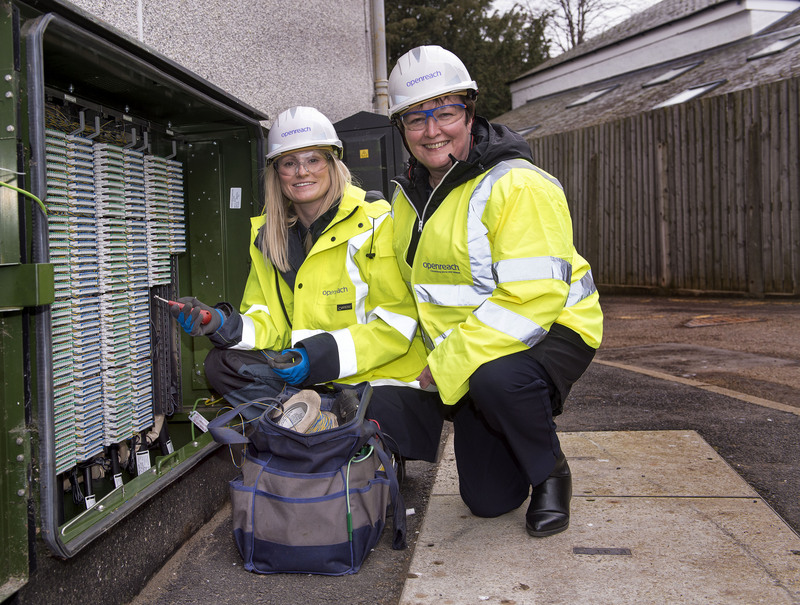 Good connectivity is absolutely vital for a strong local economy and, with around 14 per cent of Highland households still only able to get a broadband speed of less than 10Mbps, I’m determined to make sure that progress continues at pace. 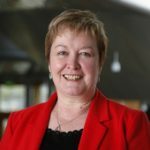 Having just heard yesterday about Talk Talk closing their facility in Stornoway it seems to me that there needs to be discussions around this decision which apparently looks like it has come out of the blue and will have an adverse impact on the island, the economy and more importantly the 59 individuals that are employed by the company. 59 job losses in an island town is massive and will impact on the whole community. My heart goes out to all these dedicated employees. The company say they are centralising and moving the jobs to Salford in Manchester with little dialogue with the workforce, trade unions or wider community. It is my understanding that this company was financially supported by HIE, and if so, we need to know if HIE can clawback that investment. I am writing today to HIE asking what support they gave and whether there us an opportunity to claw this back if this decision is not reversed. I have also spoken to the company and advised them of the impact this decision will have on the local population and the wider economy. They are adamant that they will not reverse this decision but are offering their staff relocation to Salford. However, I am keen to find out if similar work can be procured for the staff involved and whether HIE have looked into that. 59 jobs in an island community would be comparable to hundreds in an urban area and action needs to be taken to help those involved. The debate has highlighted the potential of the life sciences sector, in which Scotland is a world leader. As Richard Leonard said, this morning we visited the Roslin institute, which is a world leader in agriculture, aquaculture and animal health. Not only is it a world leader in those areas, it spends time inspiring young people and encouraging businesses to grow in its area of expertise. Iain Gray spoke about the contribution that the life sciences sector makes to the Scottish economy, as a £5.2 billion sector that employs 40,000 people. With the right strategy, we could grow that by Scottish companies bringing research and development to market. We need to do more to encourage that and create the conditions for it to happen—it will not happen by accident and we need a strategy to do it. To grow the sector, we need to start by inspiring a new generation of scientists and removing the barriers that hold them back. Ruth Maguire talked about having different routes into the sector from colleges and schools. We need to encourage more girls to study STEM subjects, too. I first visited the Roslin institute some years ago when it was awarded the Athena SWAN award that recognised its commitment to women’s career development, which again came across strongly during this morning’s visit. Today, we also saw the institute’s commitment to young people, as it has well-equipped labs for visits from schools—not only Scottish schools, but schools from across Europe and the rest of the world—whetting the interest of young people in STEM subjects. Dean Lockhart and Iain Gray mentioned an issue for encouraging young people into STEM subjects, which is the lack of STEM subject teachers. Young people cannot be enthused if we do not have the teachers in place to achieve that. As mentioned in the debate, we need science teachers, lab technicians and computer science teachers if we are to encourage young people to get involved in STEM. Richard Leonard said that Scottish Labour would set up strategic sectoral forums covering strategically important sectors, which would of course include life sciences. The forums would bring together employers, the Government, the public sector, trade unions and other stakeholders. They could work together to improve productivity in the sector and ensure that we invest, are competitive and deliver the right skills for the industry. The forums would feed into an industrial strategy that recognised the worth of life sciences to the Scottish economy and brought developments to market, keeping the benefit in Scotland. Iain Gray talked about collaboration and how it is not working properly in Scotland. That would also be a job for the strategic sectoral forums, or for the life sciences Scotland group, which surely has a role in bringing together what is good in Scotland and making sure that people work together. Our amendment talks about trade union involvement. The people who staff life sciences industries and businesses need to be involved in driving the sector forward, because they have the knowledge to do that. Richard Leonard made the point that some businesses do not have a good record of trade union recognition. We need to change that and make sure that public funding for research and development and for contracts addresses the issue, driving up standards and trade union involvement by using the tools that are at our disposal. Shona Robison spoke about NHS Tayside’s work with the University of Dundee, and I will mention a part of that. A constituent of mine has been campaigning for magnetic resonance-guided focused ultrasound, which those organisations are working together to try to bring to Scotland. I have been in contact with the Scottish Government and I hope that the minister will look at the matter again, because it has seemed unable to help. That technology would be a huge step forward for Scotland; the only place where it is available is London, and it is important that we bring it to Scotland. We have to work with other parts of the UK, as Dean Lockhart said. It is clear that UK-wide funding and collaboration are very important in the sector, but we also have to make sure that we do not fall behind. We need to continue to work together to be a world leader in life sciences. This morning, the Roslin institute spoke about a lot of its funding coming from the Biotechnology and Biological Sciences Research Council, which is a UK-wide organisation that the institute works closely with, as it does with other institutes throughout the UK. The Roslin institute sees that partnership as incredibly important to its future. Iain Gray spoke about research and investment and how we should look for the cures for such things as MS and MND, and I sincerely hope that we will continue to aspire to do that. Life sciences are an important part of our economy and we need to develop the sector and capitalise on research and development to ensure that Scottish companies are at the forefront of bringing that innovation to market. If the Scottish Government were to develop an industrial strategy, surely life sciences would be at the very heart of it, allowing those opportunities and that growth to happen in our country and in our industry.